Challenge yourself to get on your bike or spin bike this October and ride to fight kids' cancer! You set yourself a personal ride target to pedal in October and log your kilometres throughout the month to achieve your goal, tracking your progress online through your personal challenge page. All ages. All fitness levels. Any location across Australia. Your goal could be 25km, 250km or 1,000km. There's no minimum. It's your challenge, ride it your way. All you need to do is log your kilometres throughout October via our FREE GCC app, Strava, MapMyRide, your own personal GPS device or manually through your challenge page. Register now for FREE and set yourself a target of kilometres to ride for the month of October as your personal cycling challenge to fight kids' cancer. Your target could be to ride 25km, 250km or 1,000km, the main thing is to challenge yourself, have some fun and achieve your personal fitness goals. Raise $500 and you'll receive a FREE 2018 Great Cycle Challenge jersey to wear throughout your challenge. Start your challenge on October 1 with thousands of riders across the country. You can ride to work during the week, go for longer rides on the weekend or take on your own personal cycling challenge for a week or a month - it's up to you! Note: You don't have to ride for the entire month (i.e. you might be away on holidays for a week). Just set yourself a realistic goal and ride to achieve it within the month of October. The Great Cycle Challenge app allows you to easily record your kilometres and will automatically add each ride straight onto your rider profile page (including the km ridden, date and journey). Strava: To sync your Strava profile, visit the Ride Activity page of your Great Cycle Challenge dashboard and press the orange 'Strava Connect' button. Already use a GPS enabled device like a Garmin to track your rides? No problem. You can upload your ride file into your Great Cycle Challenge account and have your rides (and kilometres) added to your rider profile page. If you don't want to upload a file, then you can easily add your kilometres manually. If you are using a standard odometer or taking part in the Spin Bike Challenge, you can add your kilometres manually into your Great Cycle Challenge dashboard. Once registered, you will receive your own challenge page from which you can track your progress throughout the challenge! Your page will display each of your rides, the total kilometres you've ridden and your progress toward your target. What are you waiting for? 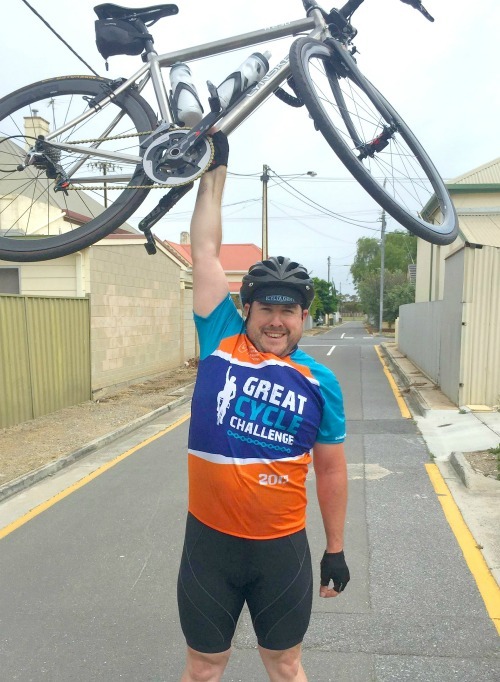 Register now for the 2018 Great Cycle Challenge today!